For lots of you still in school or university, this time of year can get pretty stressful. While it's important to hit the books, sometimes you do need to take a little break and have some good quality me time. 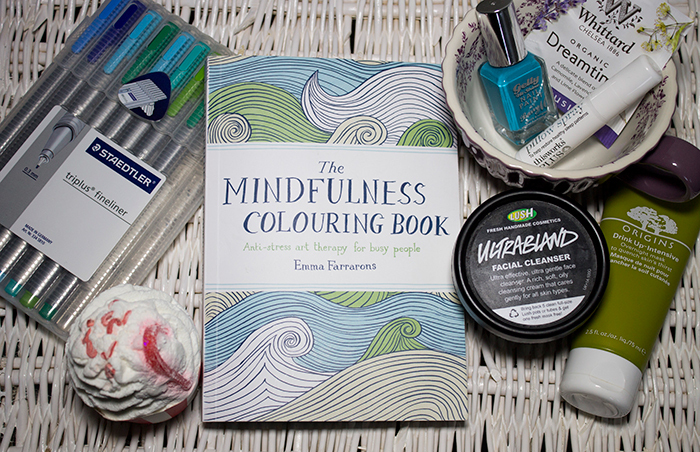 With this in mind I thought I'd share some of my tips on how to de-stress and unwind after a long busy day. Never underestimate the power of a relaxing bath. For me, it's a time where I can step away from all electronics and social media. I also believe a bath isn't a bath without some bubbles or bath bombs so I'd recommend using your favourite bath bomb for the occasion. I'll be using the Bomb Cosmetics Ginger Blaster Candy Cane Cocoa Swirl. 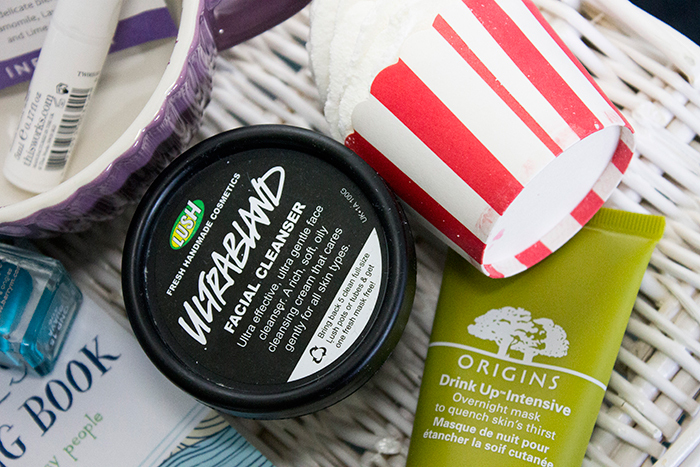 Chances are your skin won't be in the best condition at this time so give it a mini facial! Start off with a balm cleanser such as the Lush Ultrabland cleanser and finish off with a hydrating moisture mask such as Origins Drink Up Intensive to work it's magic overnight. Once you're all pampered, put on some of your most loved cosy pjs and have a Netflix marathon. My choice would be an easy to watch tv show such as The Office US or Parks and Recreation for some laughs. Something you can stick on but it doesn't take up all your focus and energy while watching. 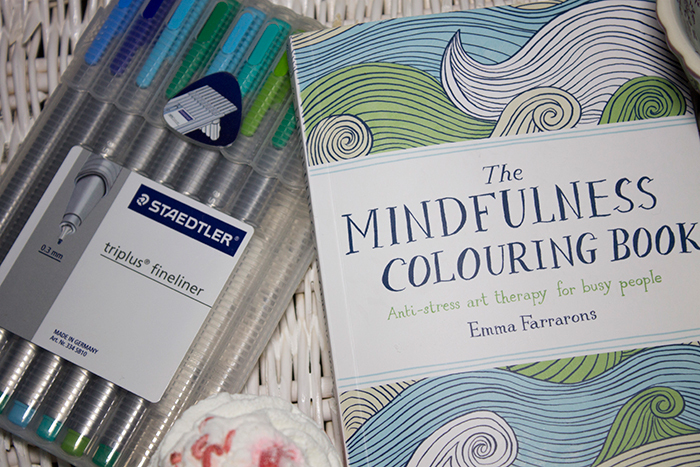 If you do need a little bit of focus, I'd recommend getting The Mindfulness Colouring Book: Anti-Stress Art Therapy For Busy People. It's a beautifully illustrated book and it's pretty satisfying once you've completed your pages. Just make sure you have the right pens, my personal favourite is the Staedtler Triplus Fineliners (pack of 20) to make sure you don't go out the lines! I'm someone who likes to do multiple things at the same time as watching tv so this would be the perfect time to paint your nails or make a cup of tea. In my case.. both! Stick on a long lasting nail polish like Barry M's Hi-Shine Gelly Nail Paint and while that's waiting to dry, stick the kettle on. 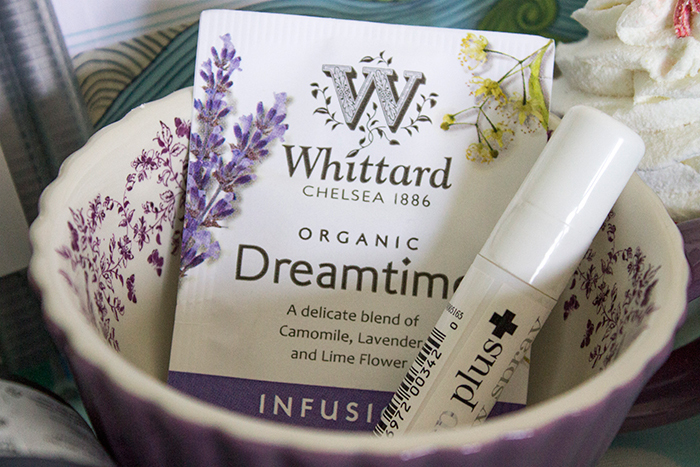 In this case, I'd avoid caffeine and go for something calming and relaxing like Whittards Dreamtime Infusion. Once it's time for bed, spritz some This Works Sleep Plus Pillow Spray and wake up refreshed for the next day ahead! I'd love to know your tips for de-stressing, feel free to share in the comments below.